At Old Salt Marine, our pledge is to offer you the highest quality marine products and services at prices you can afford. Our mission is to make your boating experiences magnificent and memorable. We're glad that you're here, and we promise to do our best to serve you both on land and water! We have 2 convenient locations to serve you better. Our new store is located at 9003 East SR 44 in Wildwood, FL and we conveniently serve the Villages and surrounding areas. Stop by and see us today. We carry the SeaArk, Sea Pro, Misty Harbor, Polar Kraft, and Stumpnocker lines of new boats. We always have a large selection of quality pre-owned boats as well. We are your premier repower dealer, and can bring your boat back to life with repowers of Suzuki and Evinrude brand outboard motors. Old Salt Marine will buy or consign your boat. We believe that boating and fishing is a lifestyle, especially here in Florida. No matter what your budget is, we will find a way for you and your family to fully enjoy the Florida lifestyle of boating. 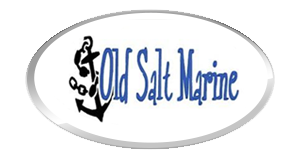 Old Salt Marine has a large selection of quality parts and accessories for your boat, and if we don’t have it in stock, we will get it for you. Our service department is second to none, and there is no job too small or large for our experienced staff to handle. We also offer fiberglass repair and re-fits for your classic boat. Old Salt Marine has a custom canvas and upholstery shop as well, and we can handle everything from seat cushions to t-tops. Come in today and see why Old Salt Marine truly is your one-stop shop for all things boating! We are online anytime, and remember, "We're here for you!"